Russia’s largest state-owned bank Sberbank has bought a 75 per cent minus one share stake in Yandex Money for $60 million dollars. Yandex Money is the online payment business of Yandex search engine. The companies will form a joint venture and Yandex will have two out of the five seats in the board of directors. The name of the service will be preserved as well. The deal complements Sberbank with the missing element in its financial services – online payments are of high demand in the Russian market. The two companies have already embarked on the development of new projects and hope to combine the experience of Sberbank in banking and Yandex’s internet technologies. “Expanding our presence in the digital world and developing online solutions is one of our operational priorities,” said Sberbank’s Chief Executive German Gref. “This company is one of the biggest successes in the Russian market and has become the industry standard for electronic payments” said Gref. 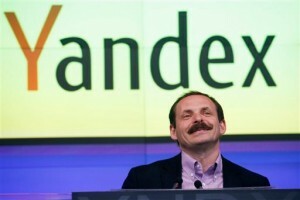 Shares of Yandex on NASDAQ rose 1.99 per cent after the deal was announced. The deal is expected to be fully completed in the first quarter of 2013. “In Yandex, we have found the optimal partner to significantly strengthen our position in the fast growing market of electronic commerce and internet payments. “We are investing not just in internet technology, but rather in an independent profitable business which is keen to considerably expand its customer base” Gref said. In May 2011 Yandex floated on the US stock market and raised $1.4 billion. Yandex said users opened 11 million accounts as of mid-2012 and that more than 120,000 transactions are conducted each day.